Despite being a year old, Keerthana still can't sit up on her own. She keeps crying all the time because she is pain. Her parents hold her and try to give her some comfort. But besides a liver transplant, nothing will make her better. 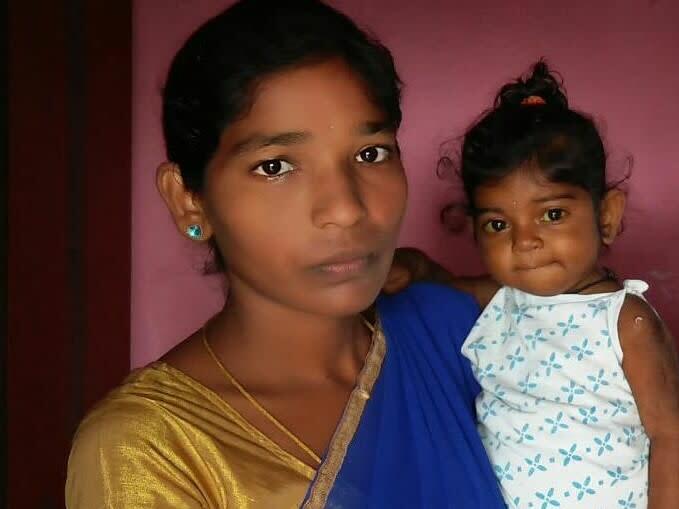 Her father Shanthi Kumar is a farmer and he needs help saving his only child. 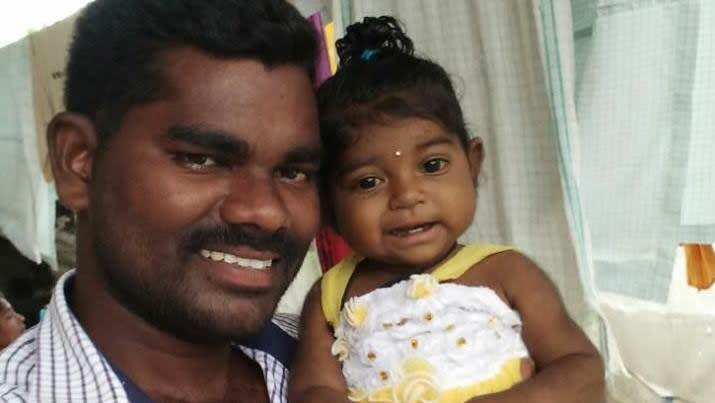 Keerthana will turn one on October 21 – and her first year of life has been full of pain. 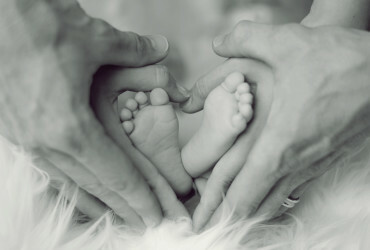 Her parents found out she had a liver disease when she was only 2-months-old. Since then, her condition has deteriorated rapidly. 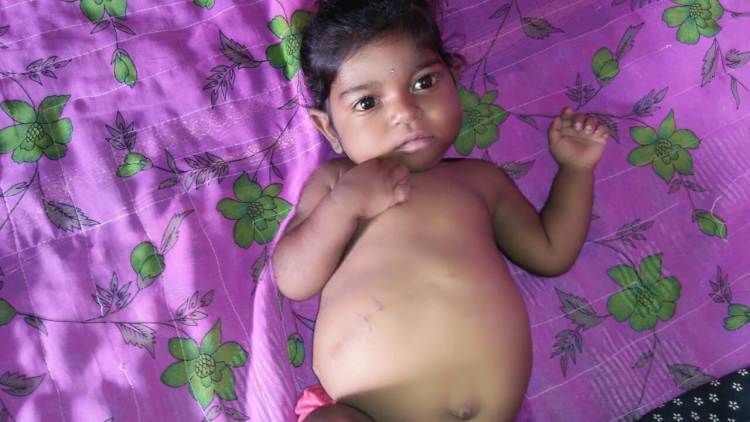 She is in the last stage of liver disease and she will live only if she gets a liver transplant. 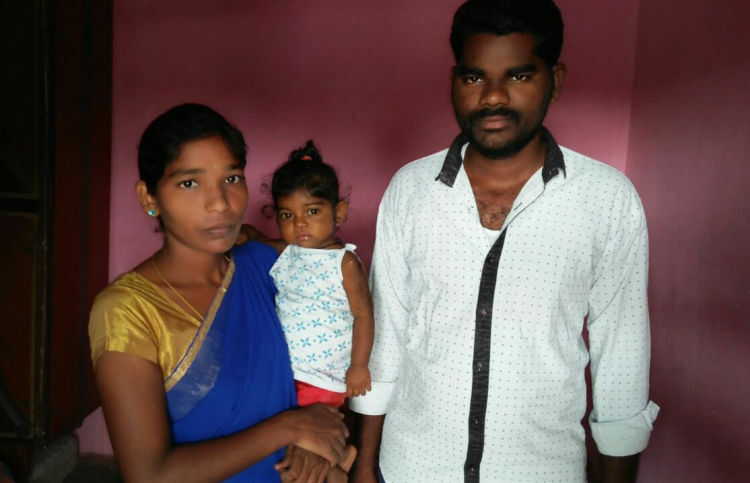 To Shanthi, the last one year seems like a blur of hospital visits and helplessness about their sick child. Adding to their sense of despair is Keerthana's very visible sickness. Keethana's eyes, skin and even teeth are yellow. She is very thin but her stomach is swollen and she regularly scratches herself because of itching. “Baby is very dull. She is always either lying down or we have to carry her. Sometimes even if we pick her up and put her in a sitting position, she eventually starts crying. Maybe it because she is in pain or she is scared of falling off. We don't know why she cries – she doesn't speak,” Santhi explains. 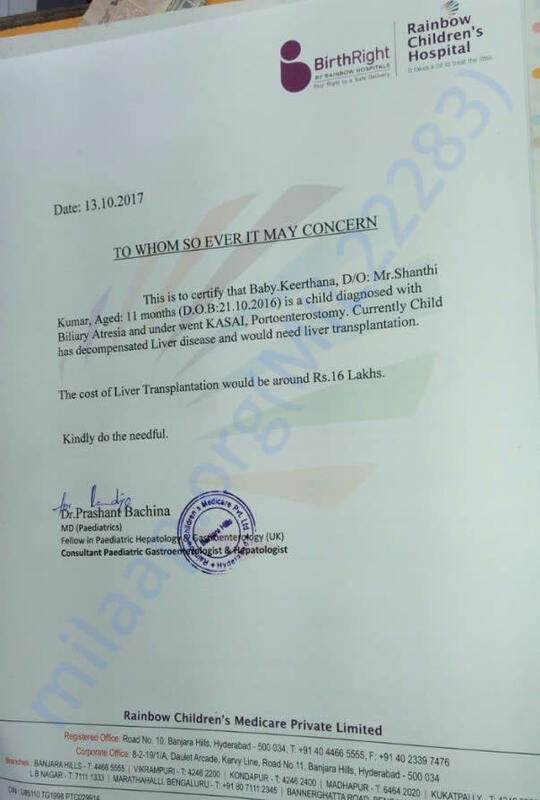 Only a liver transplant can save Keerthana now and Shantha Kumar is willing to give a large part of his own liver to save her. 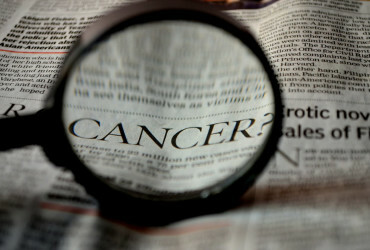 Even if it means 3-4 unproductive months after the surgery – he wants to do whatever it takes to save his only child. Unfortunately, that is not enough. He also needs Rs 16 lakhs to pay for the surgery. It is an amount he can't afford. It is also an amount no one will lend to him because he will never be able to repay this large an amount. Keerthana's father is a small-farmer and his monthly income on an average is about Rs 8,000. 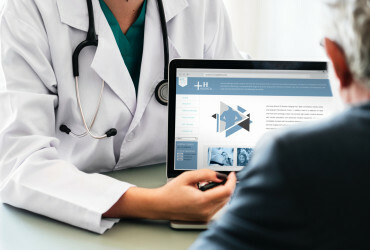 In the last year, the multiple hospital visits have eaten into his savings. He has even borrowed from his family and spent over Rs 4 lakhs on treatment in the last 6 months alone. Even though it is the life of his only child, Shantha Kumar is unable to afford treatment any longer. Every hour that Keerthana is not in too much pain and she doesn't cry is a blessing to her frazzled parents. In the last one year, Shantha and Sandhya have lived in fear of losing her because they don't have funds to save her. They have exhausted all their means. Contribute and give them hope that Keerthana may make it after all.